We do not take anything as given. 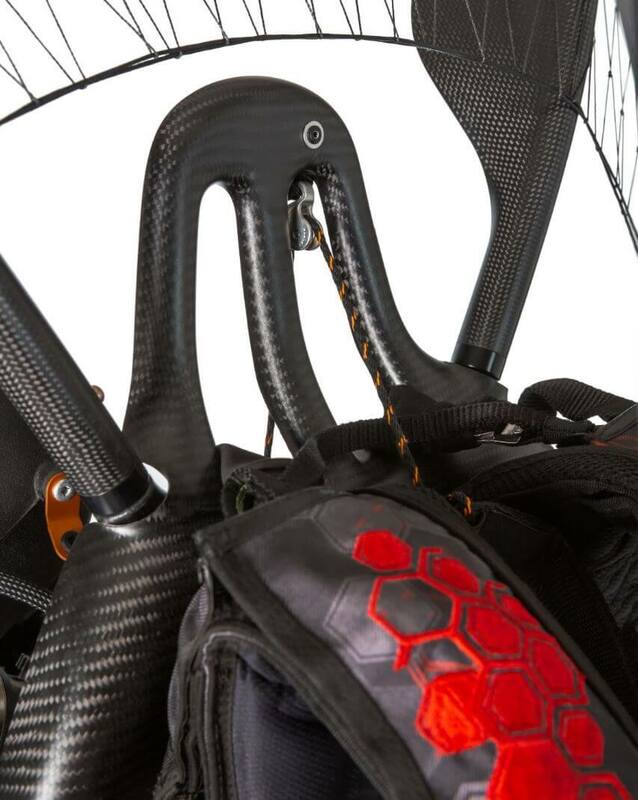 We have completely redesigned how paramotor chassis and harnesses look like for years. We have implemented the advantages of a climbing harness, mountaineering backpack and paragliding harness to give you the best handling. Now, even being loaded with full luggage bags and filled out with 19 liters of fuel for your big adventures, the NXT feels lighter and handles like a dream. Completely foldable seat board allows you to run faster and easier while the waist strap holding over 80% of the weight allows you to freely move your shoulders, giving you full control over the glider. What is your NXT adventure? Same amazing handling in the air … because Scout, that’s why. Scout NXT is a natural upgrade to Scout One, provides same excellent flight characteristics but comes with a lot of improvements and innovations. Most paramotors have a parallel frame construction providing good enough position for ground handling but less than ideal position in flight. Prop is reclined, sacrificing some thrust to keep it comfortable, obviously not the ideal solution. 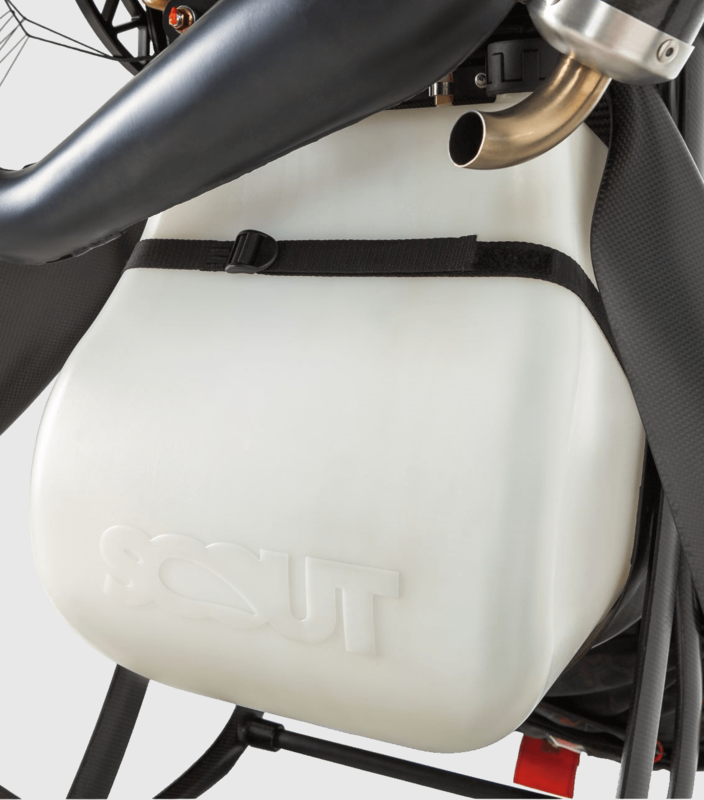 The Scout One has a recline angle built into the frame thus keeps the prop perfectly vertical in flight and your back comfortably reclined. As a downside of this, it makes ground handling a little bit more difficult, not a problem at all if you do it right. But now with variable frame geometry, you can have the benefits of both! The back stays perfectly parallel on the ground allowing you to straighten up and having a great view into your glider. Once airborne the frame geometry changes to give you a nice reclined angle for your comfort. Magic! Some paramotors are easier to get seated but more difficult to get out out the harness for landing. Some paramotors are easy to get out of the harness but impossible to get seated without using your hands or a support bar. Now with the NXT there is no need for compromises. 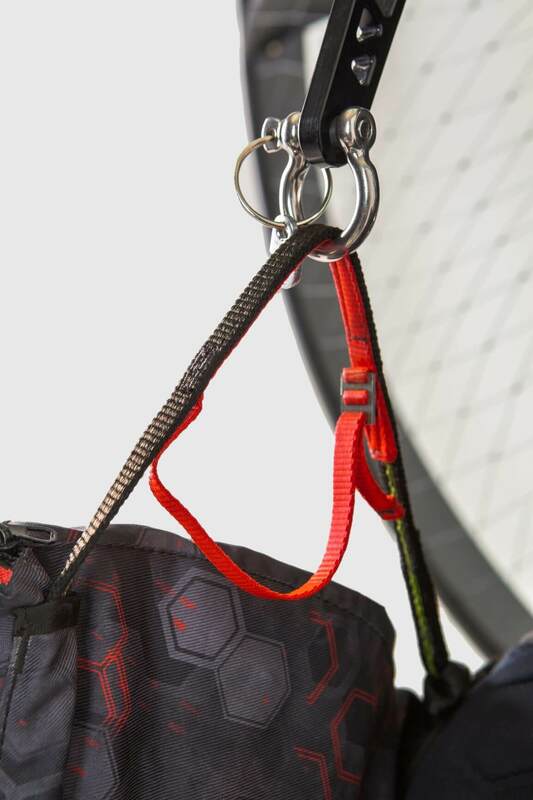 We have completely redesigned the harness geometry. 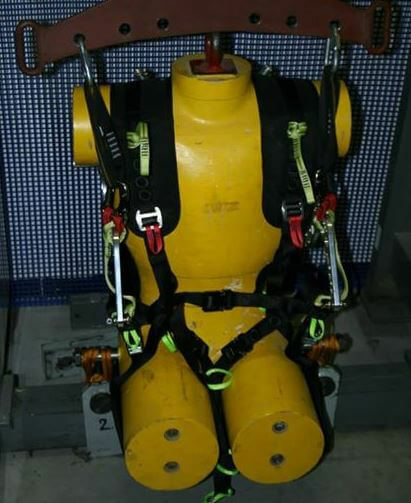 The main strap of the seat board is sliding through a shackle allowing the seat to fold all the way down for easy takeoff and landings. Getting into the seat is just as simple as lifting your knees, the seat board will follow effortlessly. Paramotors are sometimes called as backpack aircraft. While being a great aircraft, they are rather bad backpacks. 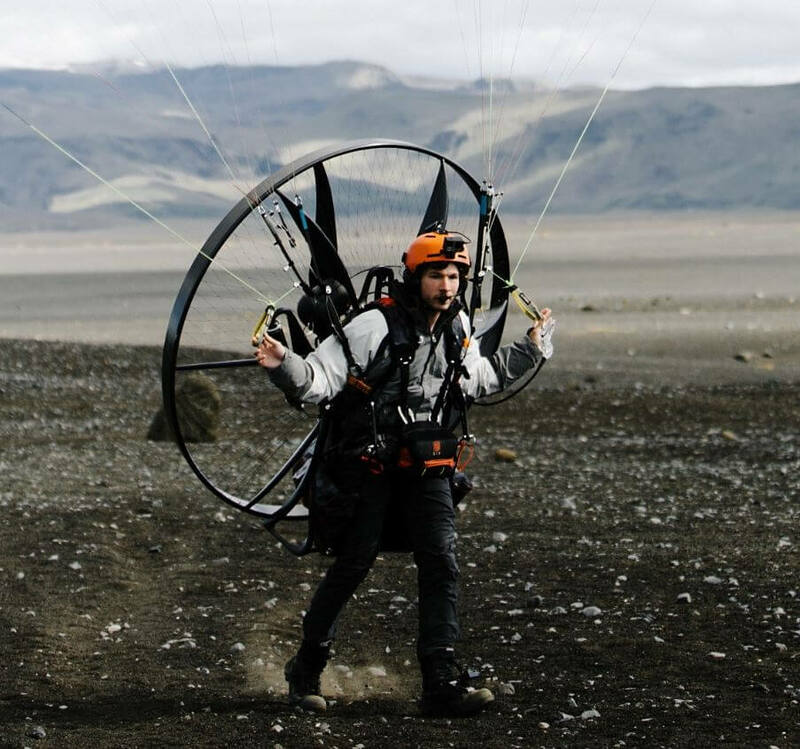 Any pilot carrying a paramotor looks far from enjoying it. And for years this was the same. Why? We have completely redesigned the harness being inspired by backpacks. Incorporating a waist belt and a proper backpack geometry we have transferred the majority of the weight to the waist. Your shoulders are now unloaded, free to move and easier to reach for glider controls. Yes, it truly feels much lighter. We do not know why did we not come with this idea earlier. 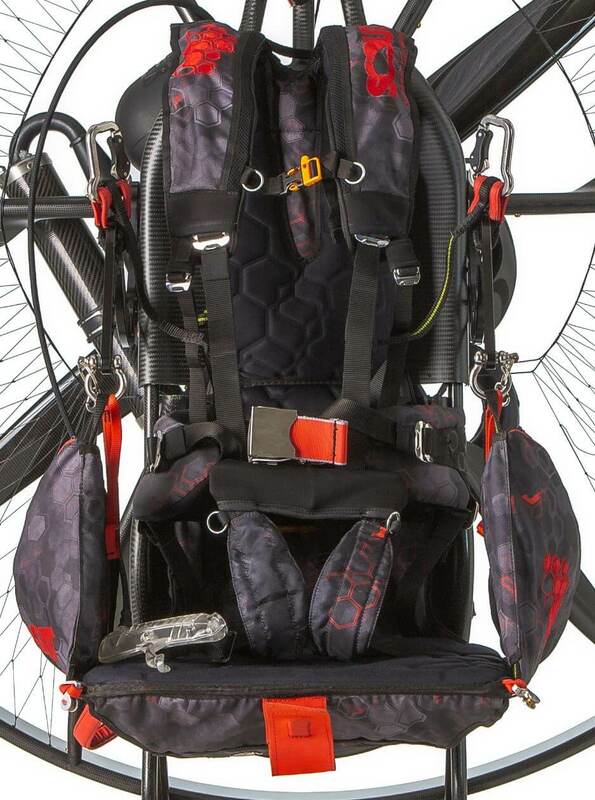 Having you paramotor higher on your back due to the waist belt and backpack geometry has one major benefit: more legroom for longer steps and a faster run. As the seat folds down all the way it does not block your range of motion. As with everything, benefits come with the respective disadvantages. While the Scout One is a very intuitive paramotor and very forgiving, the Scout NXT requires some better practice. Yes, you would be rewarded with improved ground handling, ability to run faster and easiness to get seated in and out but only if done right. That’s plenty of fuel filled into our custom made fuel tank. Due to the waist strap and proper backpack geometry, it is easier to carry and run with. Enjoy! Learn more> How much fuel do you need? Safety is our priority. 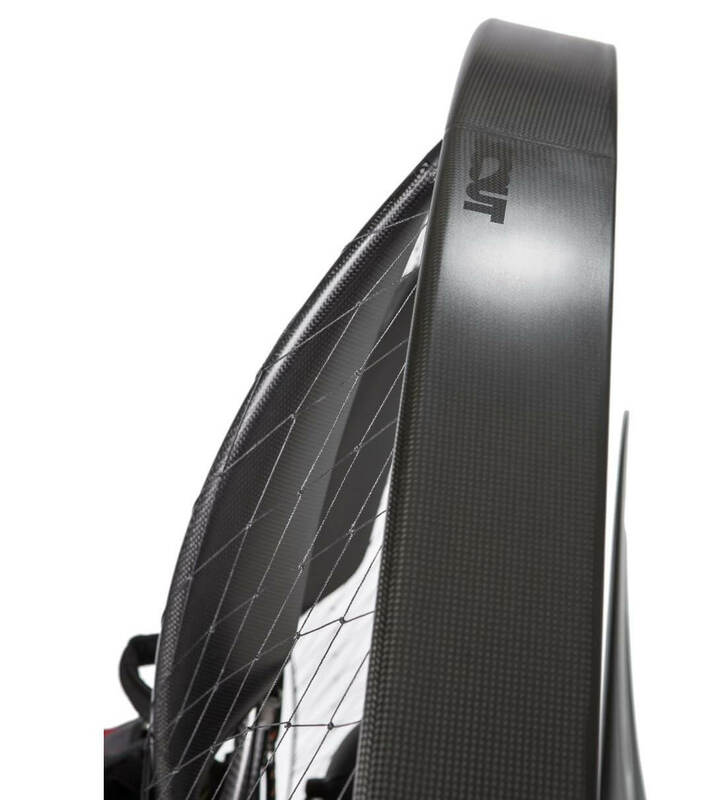 So we added carbon back protection plate also to the lower back as well. 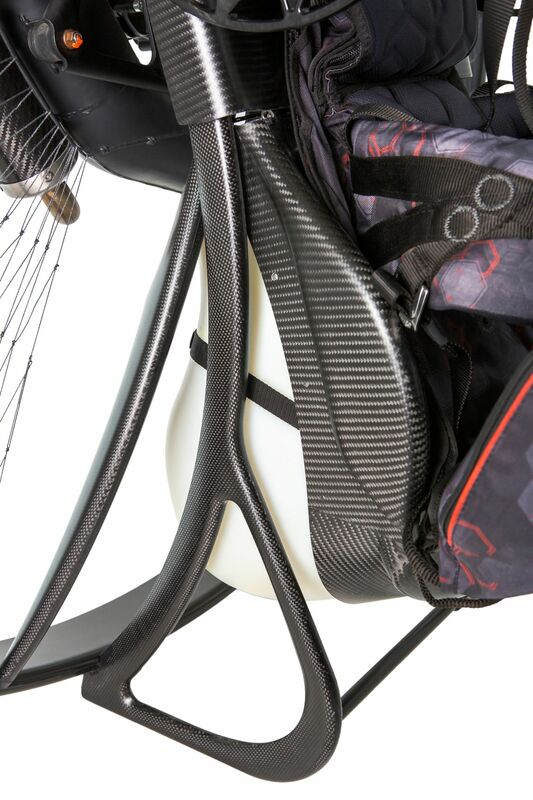 Shaped beautifully as a racing car seat, our neck protection added to the XNT increases, even more, the safety of our paramotors in case of a nasty crash. And YES, it’s made of carbon fiber, of course. Learn more> What happens when you crash? Learn more> Load testeed at more than two tons! Price for Scout NXT with Vittorazi Moster Plus MY19 engine is 8.835 Euro.